Prepare the springform pan by rapping the outside with aluminum foil, so that no water leaks into it while baking. 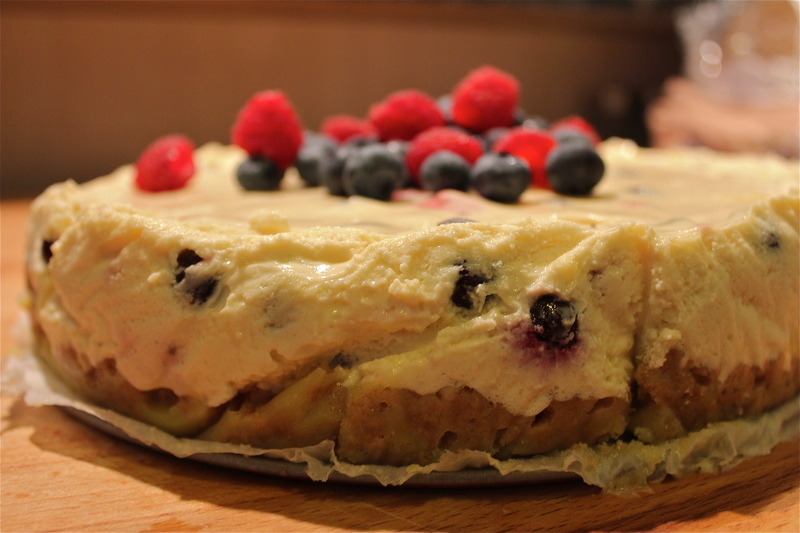 Then I placed baking paper into the spring form, so my cheesecake would not stick to the edge. Mix the cream cheese, sugar and vanilla sugar well. Then mix the eggs one by one well into the mixture. 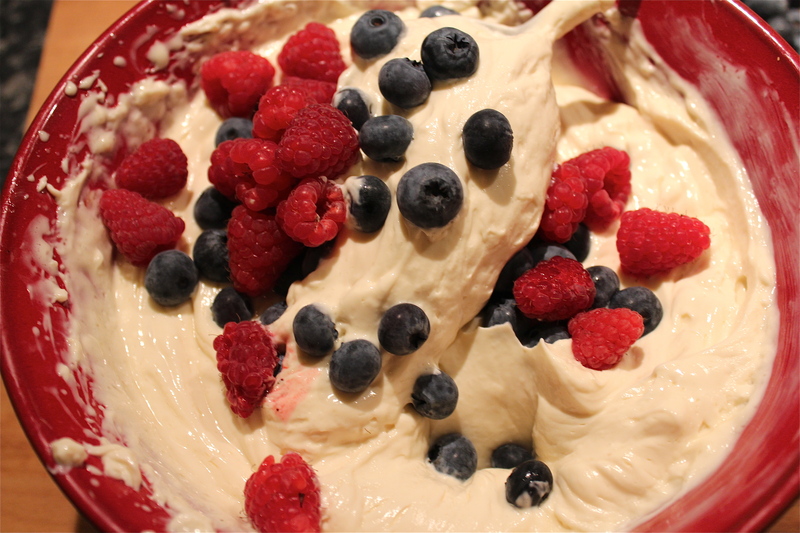 At the end you mix the 200g fresh berries with a spoon gently underneath it. Then put the springform in a high tin and fill the tin with water. I do it so the top of the cake won’t be dry and crack. 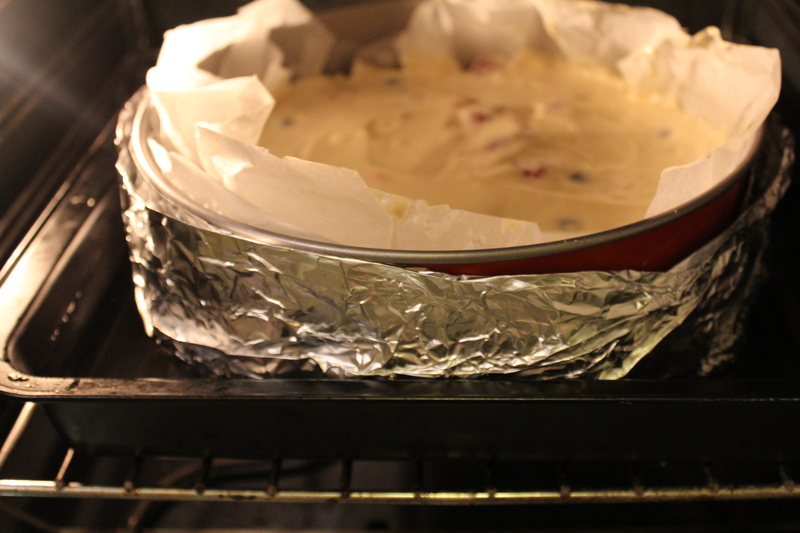 And put the tin with the springform in the middle of the oven. When it cooled down, cover it with plastic wrap and put it in the fridge for a few hours or over night. Before you serve it, take it out of the spring form and decorate it with fresh berries. 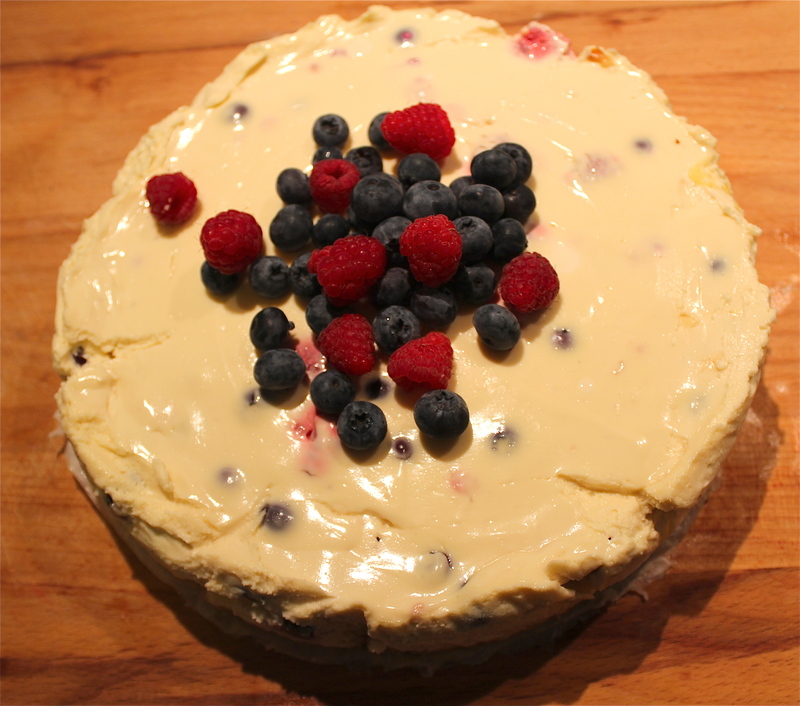 This cheesecake was so easy and fast made. 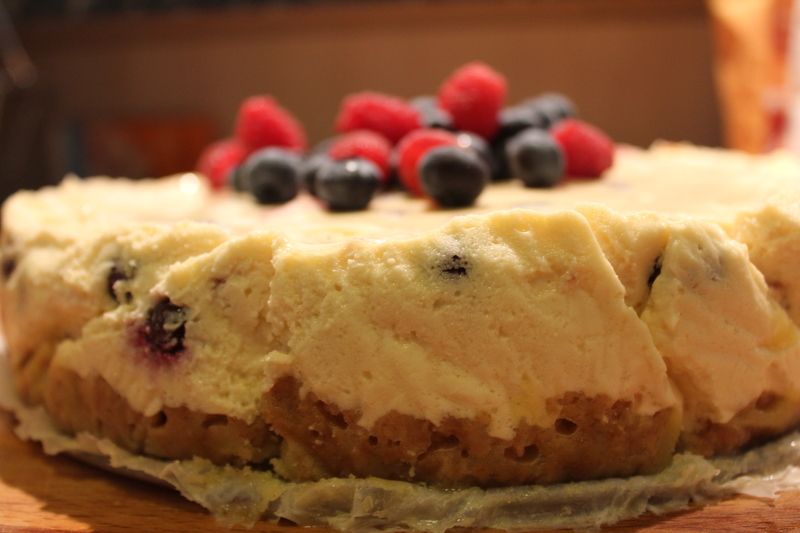 I brought this dessert to a party and from what I could tell and hear this cheesecake is a winner! Enjoy! It won’t be my last one made…that’s for sure.